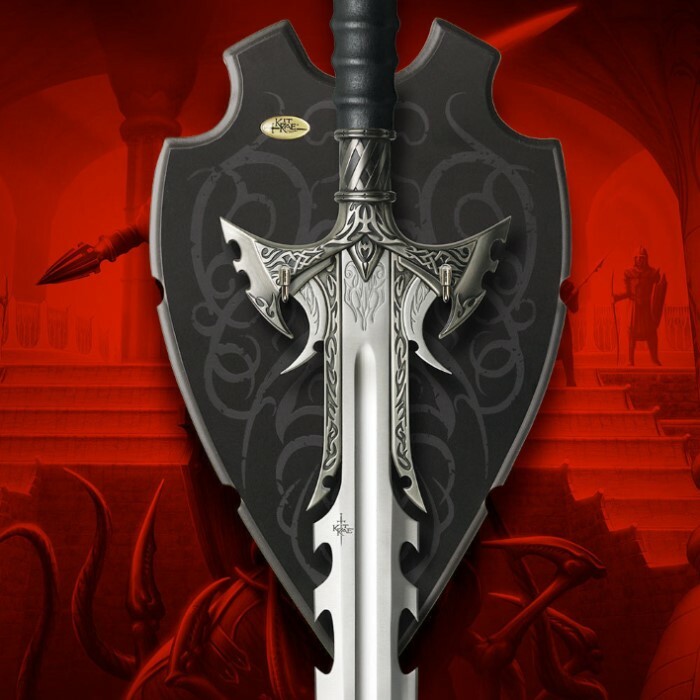 Measures 9 1/4 x 14 3/4"
This uniquely designed universal display plaque can be used for every medieval and board sword in your collection. 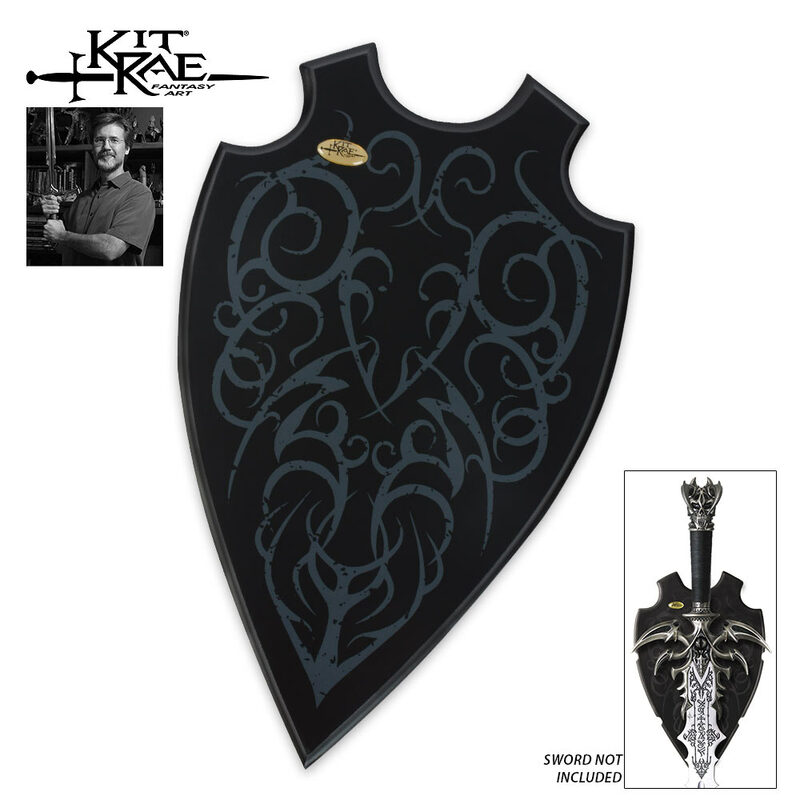 It pairs especially well with fantasy style swords by renowned sword and knife designer Kit Rae. This plaque is constructed from solid wood and is accented with fantasy screen printed tribal designs and crossed leather wrap. This item measures 9 1/4" x 14 3/4".